Found 70 file extension associations related to Xcode and 58 file formats developed specifically for use with Xcode. Xcode is the hub of your development experience. Tightly integrated with the Cocoa and Cocoa Touch frameworks for building Mac OS X and iOS apps, Xcode is an incredibly productive integrated development platform. Xcode is as a complete, full-featured IDE built around a smooth workflow that integrates the editing of source code, with the build and compile steps, through to a graphical debugging experience - all without leaving the view of your source code. The IDE does more than these traditional tasks, however. With the advent of the iOS SDK, Xcode can now manage all your testing devices, automatically packaging iPhone apps with the proper certificates, and installing apps on the iPhone itself. 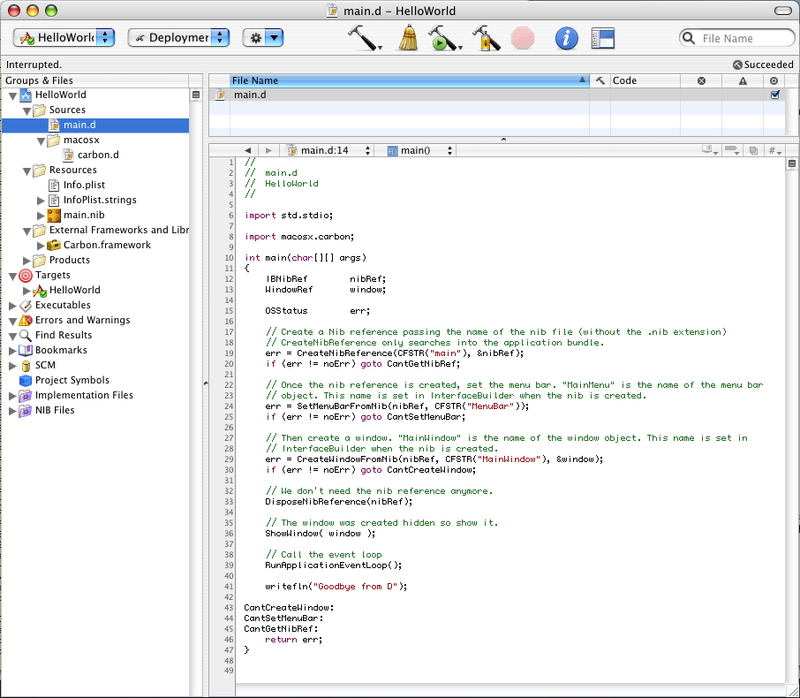 The remote debugger connects to the device in real-time, managing breakpoints as the app is controlled on the device. Interface Builder is the easy-to-use graphical editor for designing every aspect of your iOS or Mac OS Xapplication’s graphical user interface. Interface Builder stores your user interface design in one or more resource files, as a set of interface objects and their relationships. Changes you make in the interface are automatically synchronized with Xcode. Interface Builder also makes it easy to drop in your own effects, including Quartz Composer animations. The iPhone Simulator runs your application in much the same way as an actual iPhone device. Because it is quick to launch and debug, the Simulator makes for a perfect test bed to make sure your user interface works the way you intend, your network calls are correct, and that the views change correctly when the phone rotates. You can even simulate touch gestures by using the mouse. The Simulator is a great time saver. Objective-C is a powerful, object-oriented language with a dynamic class system that is incredibly flexible and fast, built as a superset over the standard C language. Objective-C powers the Cocoa and Cocoa Touch frameworks, providing high-level APIs that unleash amazing functionality from a few clear, understandable lines of code. Objective-C 2 includes such modern features as super-fast iteration, and garbage collection tuned for today's multicore Macs. For iPhone developers, Xcode’s Organizer keeps track of your iPhone devices and certificates. It works with the Keychain to ensure that your application has been signed properly before installing it to an iPhone device. The Organizer can keep track of multiple devices, multiple provisioning profiles, and even help prepare your application for submission to the App Store. Xcode’s Organizer gives you quick access to frequently used files and projects, and allows for scripted operations across many projects. The Organizer is great for community projects that use alternate build systems such as autoconf, make, and ant. It also supports arbitrary types of programs and languages, such as Ruby, Python, UNIX, Fortran, or Java via it's customizable Build, Clean, Run, and Action buttons. If you need more information please contact the developers of Xcode (Apple, Inc.), or check out their product website.